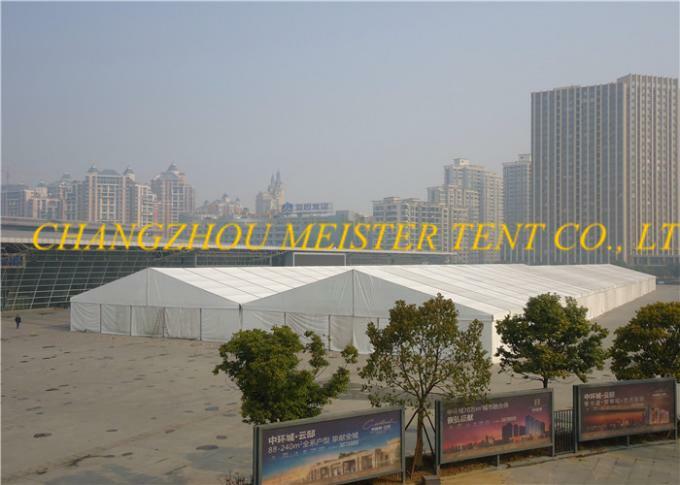 Main Profile: High reinforce aluminum, anti-rust surface, GB6005/T5, it can be used more than 15 years. 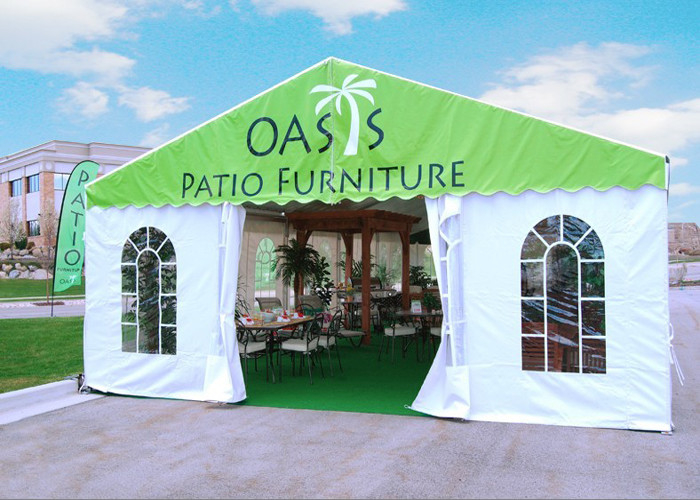 Fabric Cover: 650g/sqm,750g/sqm and 850g/sqm Double PVC-Coated Polyester, flame retardant, UV resistance, waterproof, comply to DIN4102, M2 and Grade B1(European standard). 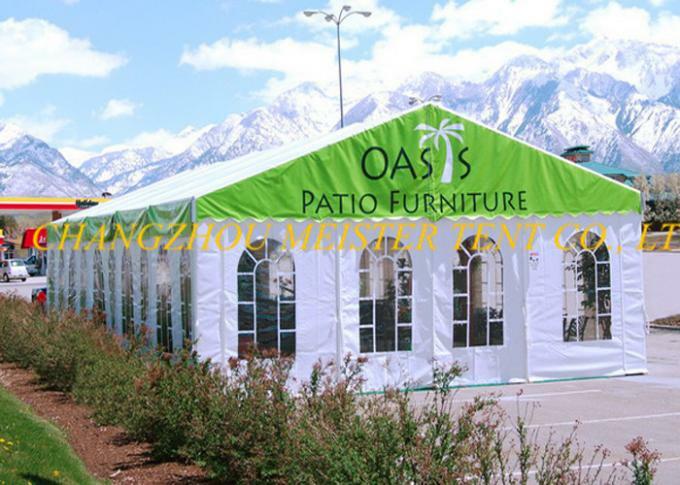 Our outdoor event tent are widely used for Event, Party, Wedding, Celebration, Festival, Exhibition, Sportsevent, Workshop, Warehouse, Temporary house, Business, etc. 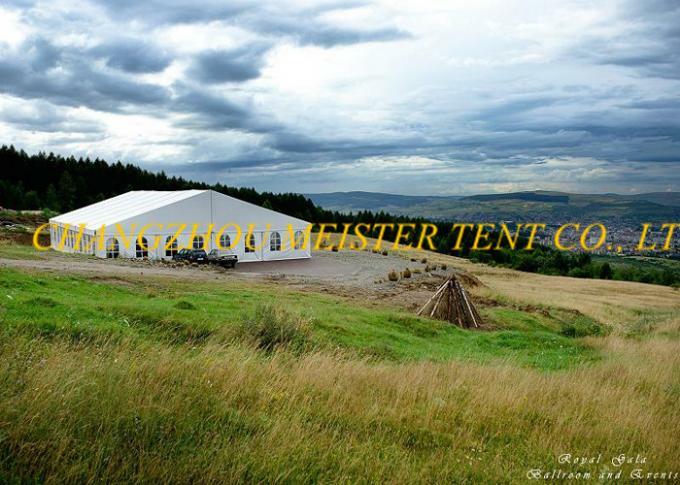 Name: 20m×50m Aluminum Frame Wedding Marquee Outdoor Event Tent with accessories.